The new 13-inch and 15-inch MacBook Pro models are now equipped with an SD card slot instead of an ExpressCard slot. – Supports SD, SDHC, MiniSD, MicroSD. – The Mac recognize the SD card as a USB device. 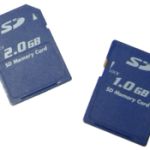 – SD cards can be used as startup volumes (bootable). – Can be used in Windows using Bootcamp. Via hardmac, MacUser and TUAW.